At last there are supernovae on the skymap of KStars! Small orange ‘+’ signs mark the spots of fury. The list of recent supernovae can be created/updated by using the Update Recent Supernovae Data option under Settings—>Updates. 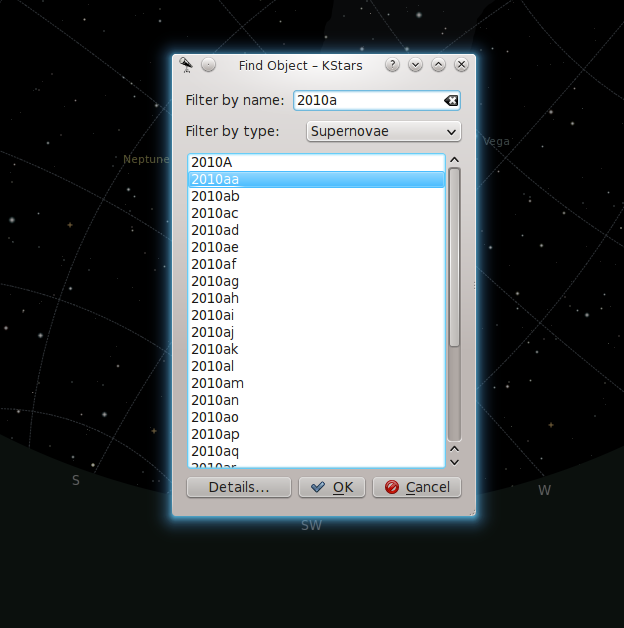 Also Supernovae can be found by using the Find Dialog Box by using their serial number. 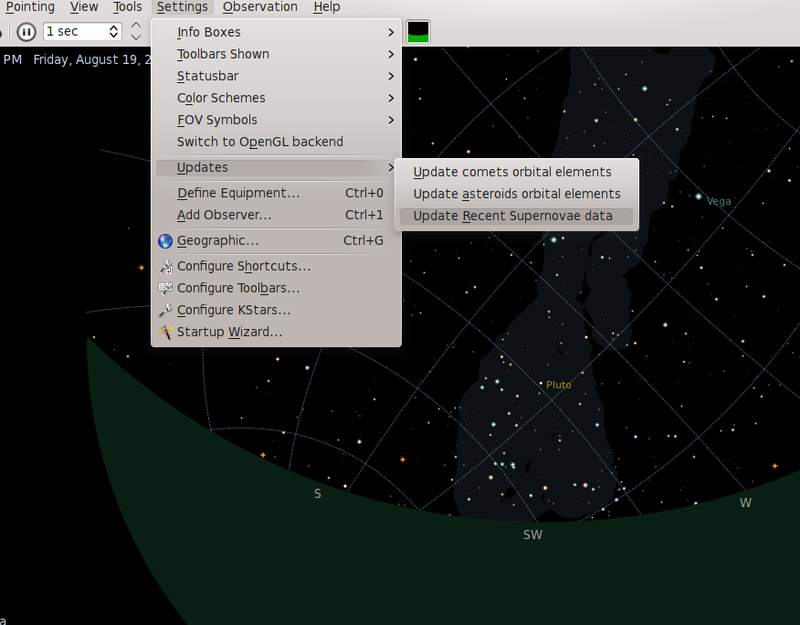 And right clicking on supernovae and getting some detailed information also works. 🙂 Anyway, let me finish this quick.. need to catch a train tomorrow morning and really need to catch up with some sleep.